Click on the note to hear the musical example. Click on the bold text for a brief definition of the musical term. Unsure of his ability to compose symphonies, Brahms took fourteen years to finish his first in 1876. Its critical and popular success, while far from overwhelming, gave him the confidence to try his hand at a symphony again, and this time with much greater assurance; thus it took him just a few months in the summer and fall of 1877 to compose his second. The contrast between the two can be compared to that between Beethoven’s fifth and sixth symphonies, and the parallel can be extended to the environment which gave them birth. Brahms spent the summer of 1877 in Pörtschach, an out-of-the-way village in the Austrian countryside, from where he wrote to Eduard Hanslick: “So many melodies fly about, one must be careful not to step on them.” The symphony’s sunny spirit – especially the last two movements – and relatively transparent orchestration harks back to the young Brahms of the two orchestral serenades (1856-60), and has less of the dense orchestration that permeates much of Brahms’s symphonic writing. It induced one of Brahms’ friends to exclaim: “It is all rippling streams, blue sky, sunshine and cool green shadows. How beautiful it must be at Pörtschach!”. But true to Brahms’s nature, the symphony has its darker moments. Clara Schumann commented on the somber mood in parts of the first movement, and when a friend objected to the gloom and harshness of the trombones in the second movement, the composer replied that it reflects his habitual melancholy. Brahms kept all but his closest friends in the dark about the character of the new work, hinting that it was tragic, somber, dirge-like, and - adding facetiously - would require the orchestra members to wear black crêpe armbands. The premiere in Vienna on Dec. 30, 1877, under the baton of Hans Richter, was an unqualified success, the ebullient third movement having to be repeated at the insistence of the enthusiastic audience. The Symphony presents many original and ingenious variations on traditional symphonic forms, including ways of integrating the movements thematically. It opens with a gentle, lilting theme, the opening three notes of which, in the cellos and basses, comprise a motive that pervades the first movement. The motive appears sometimes in the melody, at others as an accompanying figure. Yet, offsetting this persistent kernel is a considerable array of themes, some of which find the little motive embedded within them, as in this rhythmically varied version that opens the second theme. Once audiences are attuned to listen for it, they can find it everywhere. 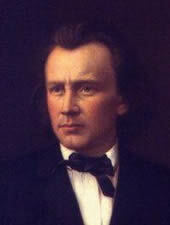 The second theme in f-sharp minor is one of those places where Hanslick's perceived sunshine temporarily hides behind the clouds of Brahms's melancholy. There is also a heart of darkness in the development. Nevertheless, good weather prevails by the end with a gentle coda recalling the recurring motto and ending with a restatement of the first theme. Like the preceding movement, the Adagio non troppo is packed with thematic material, but this time the sunshine pretty much stays behind the clouds from the start. Here Brahms breaks down two longer themes into fragments, using the three-note motto from the first movement as an integral part of the second thematic group. The reprise of both sections is in free variation, reminiscent of the slow movement of Beethoven's Ninth Symphony. The movement concludes with a wistful coda. The Scherzo opens with a beautiful allegretto grazioso solo for the reed woodwinds, accompanied by pizzicato cellos. Brahms, however, does not use the customary new thematic material for the Trio, but rather a radical transformation of the Scherzo theme. He establishes the traditional contrast of mood with a change from triple to duple meter and an abrupt increase in tempo and new orchestration emphasizing the strings. The Trio continues with an emphatic statement of the three-note motto. It gradually winds down in tempo to blend smoothly into a free variation of the Scherzo reprise. The Finale, the most festive movement Brahms ever wrote, begins, however, with a sotto voce rhythmic variation of the three-note motto from the opening movement, here once again in the cellos and basses. The movement is in modified sonata-rondo form with the following second theme. Brahms freely develops both themes in the intervening episodes, ending with an ebullient coda and a final trumpet fanfare. One of the greatest supporters and benefactors of composers in the 20th century was conductor and philanthropist Paul Sacher (1906-1999) of Basle, Switzerland. In 1926 he founded the Basle Chamber Orchestra, which specialized in pre-classical and contemporary music (He considered there were enough ensembles performing the Classical and Romantic repertoire.) A few years later he added a chorus to his ensemble. Then, in 1934, he married Maja Stehlin, the wealthy widow of Emmanuel Hoffmann, the son of the founder of Hoffmann-La Roche. Together they commissioned, and he premiered, over 200 works from such composers as Igor Stravinsky, Béla Bartók, Arthur Honegger, Paul Hindemith, Benjamin Britten, Pierre Boulez and Richard Strauss. In July 1944, as Nazi Germany was reaching its apocalypse, Sacher approached the 80-year-old Strauss and commissioned him to write a work for string orchestra for the Zurich Collegium musicum that Sacher had been conducting since 1941. Strauss, isolated under virtual house arrest in his villa in Bavaria, was depressed and despondent over the devastation around him. He was especially appalled by the destruction of the opera houses in Munich and Dresden where he had spent much of his operatic conducting career and where he premiered his own operas. Moreover, he was penniless and the commission was a lifeline. It was the kind of stimulus Strauss needed to write a major composition that he suspected would be his last. He immediately set to work and finished the score in April 1945. Metamorphosen was premiered in Zurich in January 1946. Strauss scored the work for 23 string instruments – ten violins, five each of violas and cellos and 3 double basses. Each instrument has an independent melodic line, although occasionally instruments are doubled for emphasis. Strauss’s frame of mind can be guessed from thematic references to the funeral march from Beethoven’s "Eroica" Symphony that permeate the score. The theme evolves gradually, most of the time as short motivic fragments and rhythmic hints. Since the title of the work means “transformations,” it is reasonable to ask what is being transformed. Certainly the Beethoven quotation undergoes a transformation, although Strauss himself spoke of it later as “escaping” from his pen before he recognized it for what it was. The quotation, in fact, is nothing more than a brief, but crucial, fragment of Beethoven’s theme. Appended to this motive is a more expansive and lyrical motive that also recurs throughout the work in free variation, and these two elements form the basic thematic structure of the entire work. On the margins of one of the manuscript pages is a notation: “Trauer um München” (Mourning for Munich) and on the last page where Beethoven ’s theme appears complete in the cellos and double bass, “IN MEMORIAM.” In addition, there are fragments of musical ideas borrowed from, or recalling, other Beethoven works, such as this motive from the main theme of the adagio sixth movement of String Quartet, Op. 131 that appears at the very beginning of the piece. Despite the pall of despair, however, there occurs in this long work musical evidence of something emotionally uplifting. Strauss introduces this vision around a quarter of the way through the work, after which it struggles to affirm the transcendence of the German idealism exemplified by Beethoven and Goethe. In the most profound sense, it is the struggle between idealism and despair that constitutes the musical transformations. Strauss’s biographer, Norman del Mar has also noted that during the worst years of the war, Strauss immersed himself in rereading the complete works of Goethe, a long quotation from whose self-analytical late poem, “Niemand wird sich Selber kennen,” (no one can really know himself), Strauss copied into the manuscript of Metamorphosen. Yet another metamorphosis, of course, is that of the icons of German culture, polluted by the Nazis and destroyed by Allied bombers. Strauss’ letters during the composition of Metamorphosen attest to his despair at each new wave of destruction. 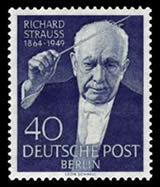 Metamorphosen was not Strauss’s last orchestral work. In the summer of 1945, exiled in Switzerland, he met oboist John de Lancie, at the time an American GI, who found the courage to suggest to the famous composer that he write an oboe concerto. "I asked him if, in view of the numerous beautiful, lyric solos for oboe in almost all of his works, he had ever considered writing a concerto for oboe," de Lancie recalled later. "He answered no, and there was no more conversation on the subject." But a year later the Oboe Concerto was ready and was premiered in Zürich. De Lancie went on to become principal oboist with the Philadelphia Orchestra and then Director of the Curtis Institute. In 1892, Antonín Dvorák accepted the invitation of the philanthropist Mrs. Jeanette Thurber to take up the directorship of the National Conservatory of Music of America in New York, which she sponsored. While the composer was intrigued by the possibilities of the venture, he found America strange and suffered extreme homesickness for his native Bohemia. To feel more at home, he spent the summer of 1893 in Spillville, a small Czech community in Iowa. He was happy there, playing the organ for the settlers in their little church and quartets with his students. But coming from the small farms of his native land, the vastness of the Iowa landscape overwhelmed him: “We often went to visit Czech farmers 4-5 miles away. It is very strange here. Few people and a great deal of empty space. A farmer’s nearest neighbor is often 4 miles off, and especially in the prairies (I call them Sahara) there are only endless acres of fields and meadows and that is all you see, you don’t meet a soul.” he wrote to a friend back home. Dvorák put his stay in Spillville to good use and within a month composed what was to become his most popular chamber work, the String Quartet in F, Op.96, known as the “American” Quartet. Only three days later he started its companion piece, the String Quintet in E-flat, Op.97, finishing it in 5 weeks. This work, too, he originally called the “American,” but later dropped the title. Both chamber works were premiered the following January in Boston. 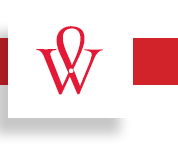 Dvorák stated that he “…wanted to write something really melodious and simple”. Both works make use of the pentatonic scale (scales which have only five tones in whole-tone intervals). The scale was common in the African-American music Dvorák had heard in New York but is also found all over the world from China to Scotland, including in Dvorák’s native Bohemia. The Quintet, however, shows an added, more exotic influence: During the summer a group of Indians from the Kickapoo tribe visited the community to sell their medicinal herbs, performing their music and dances to attract a crowd. It is thought that some of the ostinato drumming effects in the Quintet, especially in the second movement, originate from these performances. Nor would the Quintet be the only work into which Dvorák incorporated Native American music; the third movement of the Symphony No. 9 in d minor, “From the New World” also ostensibly uses Native American themes. The first movement of the Quintet opens slowly with a pentatonic theme in the second viola, continued by the rest of the instruments. But immediately, the mood shifts as the viola reenters with a minor version of the theme. There is a second thematic group that also features the pentatonic scale with a shift in and out of the minor. Given what we know of Dvorák’s feelings about his sojourn in the United States, this alternation between the pentatonic and minor modes throughout the movement suggest an ambivalence between fascination with his new environment and homesickness. The second movement Scherzo has the rhythm and spirit of a Bohemian folk dance, followed by a doleful trio, resembling the opening theme of the preceding movement and once again suggesting the composer’s emotional ambivalence. After twelve years of benevolent and peaceful reign, German-born King George I died, and George Frideric Handel, for twelve years the unchallenged king of English music, found himself under a new patron, King George II and his queen, Caroline. For the sumptuous coronation in Westminster Abbey on October 11, 1727, he wrote four anthems on biblical themes, their grand and sweeping melodies befitting the lofty occasion. At least one of the anthems has been used at every subsequent coronation. Like any grand religious ceremony, a coronation is a combination of traditional elements, “set in stone” and those especially created to enhance the image of the monarch at hand. A series of mishaps and miscommunications rendered George’s coronation less than the perfect show one might have liked. The court organist, whose job it was to commission music for the service died; the Archbishop of Canterbury, William Wake, was ill during the preparations for the big event, leaving decisions about the order of service to his subordinate bishops; and King George took it upon himself to select Mr. Hendel [sic], but without giving him any further direction or guidance as to the nature and placement within the service of the newly composed music. On the day of the coronation, confusion reigned. The order of service did not match the printed program. A chorus of 47 and an orchestra of 160 performed both Handel’s four anthems and several other traditional works employed at the coronations of previous monarchs, but apparently much was left to be desired in the performance. The public was enthusiastic, but not the Archbishop of Canterbury: “The anthems in confusion; all irregular in the music,” he scribbled on his Order of Service. Following traditional procedure, after the procession of the King and Queen down the nave of Westminster Abbey, the Archbishop presents them to the assembly, asking if they are willing to pay homage to their new monarch. According to Archbishop Wake, The King Shall Rejoice should have been performed at this point, but instead the musicians performed Let Thy Hand Be Strengthened, which contained no trumpets or timpani. Any mother of the bride knows perfectly well how critical to the state of the universe such a slip in protocol can be. The anthem, from Psalm 21, is scored for six voices (SAATBB) and is in five sections, each in a different choral style, corresponding to the first five verses of the Psalm. Although Handel had some solid experience as a choral composer, his main métier at this time was opera. However, John Gay, a young musical satirist, had revealed to all of London in his Beggar’s Opera just how tired the old opera seria had become, and Handel had to rapidly change his musical stripes if he was to maintain his musical hegemony. Fortunately, he adapted his choral writing so clearly apparent in the Coronation Anthems to a new genre, the dramatic oratorio.